Suburban Sanitation specializes in North Haven-based septic system installations, maintenance, septic restorations, non-hazardous industrial liquid waste and portable restroom rentals. 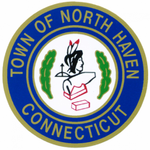 Our family owned business has been operating in North Haven, Connecticut for 61 years. You deserve a reliable, professional septic service and that's what you get when you call Suburban from your North Haven home. Our company provides quality workmanship and state of the art technology to commercial and residential customers throughout North Haven, CT.
For Septic Service in North Haven and portable restroom facilities for any occasion, Call 860-267-6102 Today!